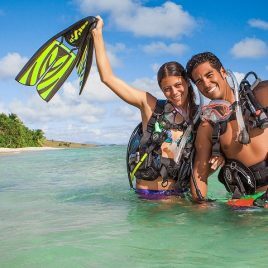 During the PADI Discover Scuba Diving Experience you’ll learn how to use scuba diving equipment in shallow water and get a quick and easy assisted introduction to what it takes to explore the underwater world that surrounds Utila. Realizing you are able to breathe underwater is a magical and life-changing experience. 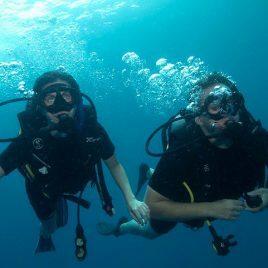 The sensations are completely different to any other experience and after the first few moments of adjustment, beginner scuba divers realize how simple and fun scuba diving is! The biggest challenge instructors have with the PADI Discover Scuba Diving Experience is not having to coax participants into the water, but coaxing them out when the program is over. It’s all fun and will likely lead to the desire to continue your scuba dive training! 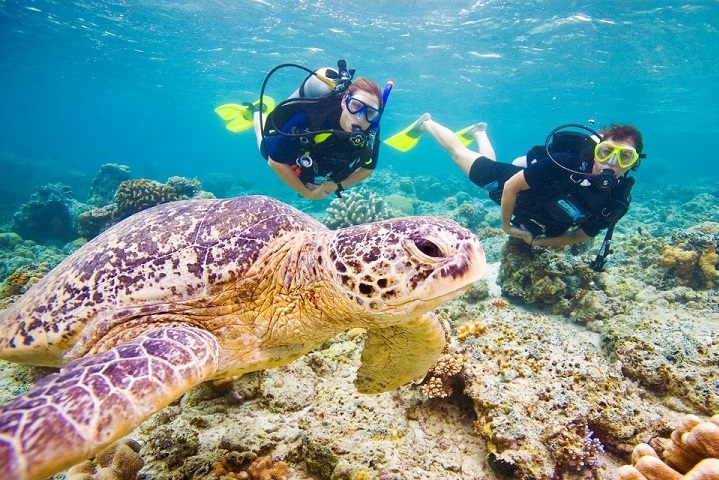 You are eligible for credit if your PADI Discover Scuba Diving program includes an actual scuba dive in open water. 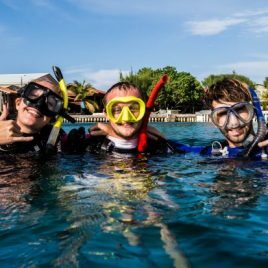 If so, your experience may count toward PADI Scuba Diver or PADI Open Water Diver certification, preparing you in advance for the PADI training courses in your future. In order to enroll in the PADI Discover Scuba Diving Experience you must be at least ten years of age. With the assistance and direct supervision of a PADI Professional, you will become acquainted with the basic skills you need to try out scuba diving for the very first time! Become acquainted with some of the safety rules and basic scuba diving skills that are a part of the PADI certification courses -the next step in your scuba diving training! Contact Underwater Vision to sign up for a Discover Scuba Diving program and get a Discover Scuba Diving Participant Guide. 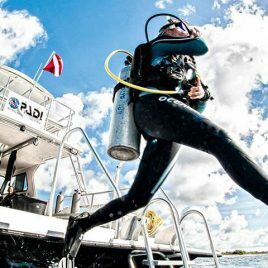 Your Participant Guide explains the experience and lets you pre-study the safety rules and skill techniques your dive professional will review with you. You’ll also learn about opportunities to become part of the scuba community after you complete your underwater experience. You may also wear a short-sleeved wet suit (all that's required on Utila), and a weight belt which your instructor will size and weigh correctly for you! If you have your own mask, snorkel and fins that you use for snorkeling that you would prefer to use for the PADI Open Water Course, please show your instructor before hand to ensure your equipment is appropriate to use while scuba diving! In order to enroll in the PADI Discover Scuba Diving Experience you must be at least ten years of age. Breathing underwater for the first time is thrilling, so don’t wait. 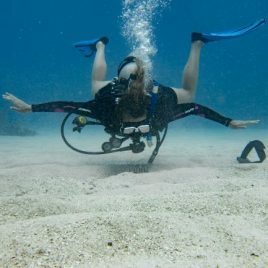 Many PADI students in Utila choose to take the popular PADI Enriched Air Diver course. 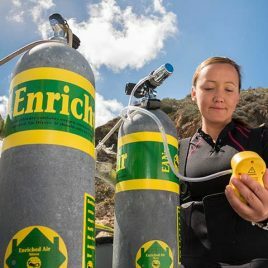 Scuba diving on Enriched air Nitrox generally allows divers to increase the length of their dives and enables them to spend less time on the surface between dives. Spend more time on the fantastic dive sites around Utila as a PADI Enriched Air Diver! Don’t miss out on turtle, eagle ray, dolphin or whale shark sightings due to short decompression times! Diving on Nitrox is sure to give you more time spent under the waves especially when doing repetitive dives thereby increasing your chances of such sightings! Underwater photography is becoming more and more popular on Utila as elsewhere as digital cameras become cheaper and easier to use. 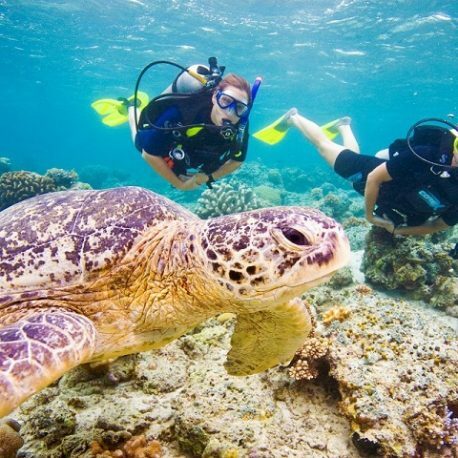 This fun course will allow you to capture your memories of diving in Utila to share with others. 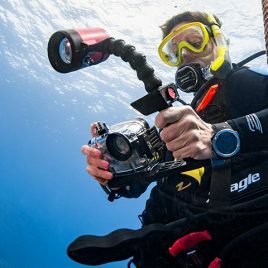 The PADI Digital Underwater Photographer course will teach you basic camera techniques and how to properly and safely use the appropriate Underwater Camera Housings. Learn the secrets to taking optimal underwater photos of the marine environment from the experienced instructors at Underwater Vision. 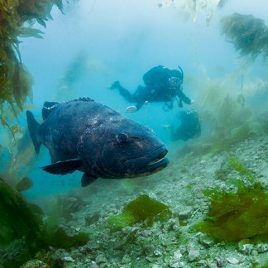 Part of the fun that comes with Scuba Diving is observing a new ecosystem with all of its varied creatures in their natural environment. Once you get back to the surface, it helps to be able to identify what you saw in order learn more about them or to converse about them and their habits with your fellow divers around Utila and with the PADI Professionals at Underwater Vision and at the many other adventurous dive destinations your passion for scuba will take you!